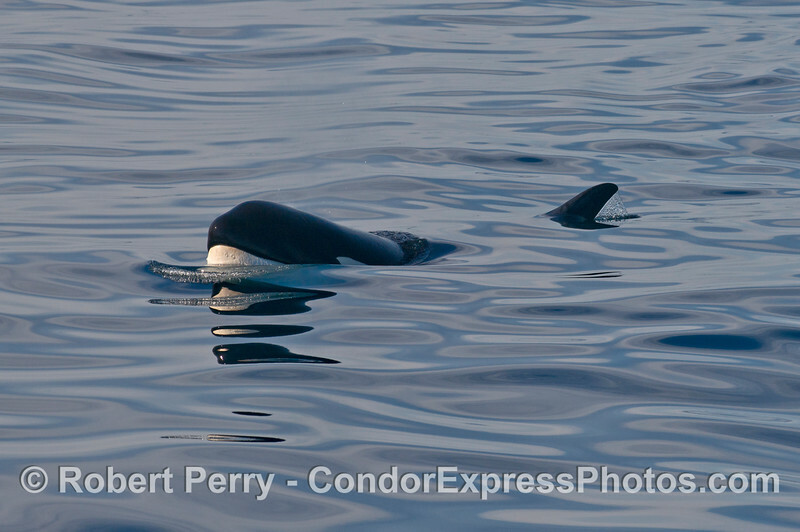 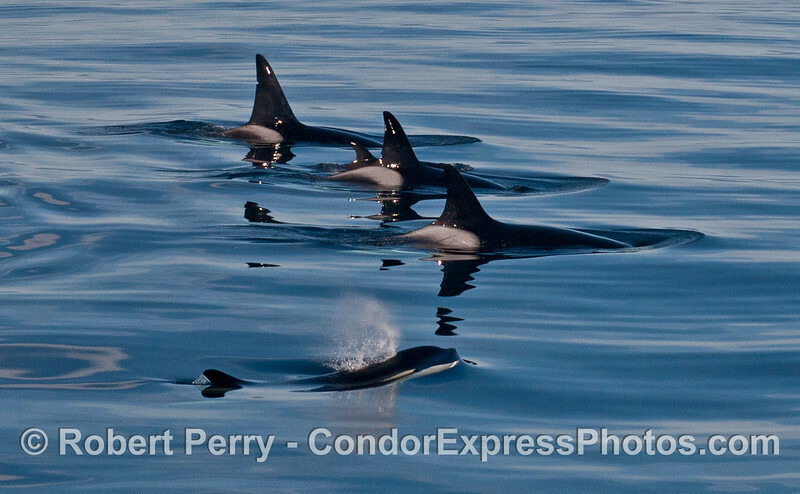 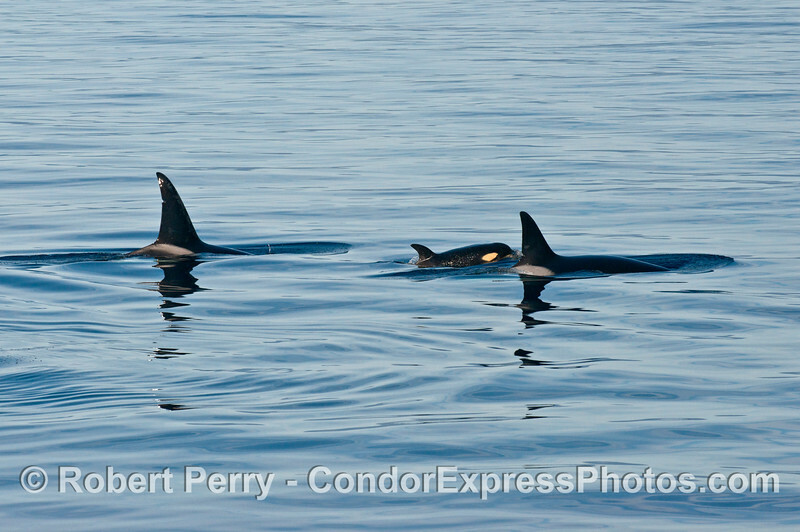 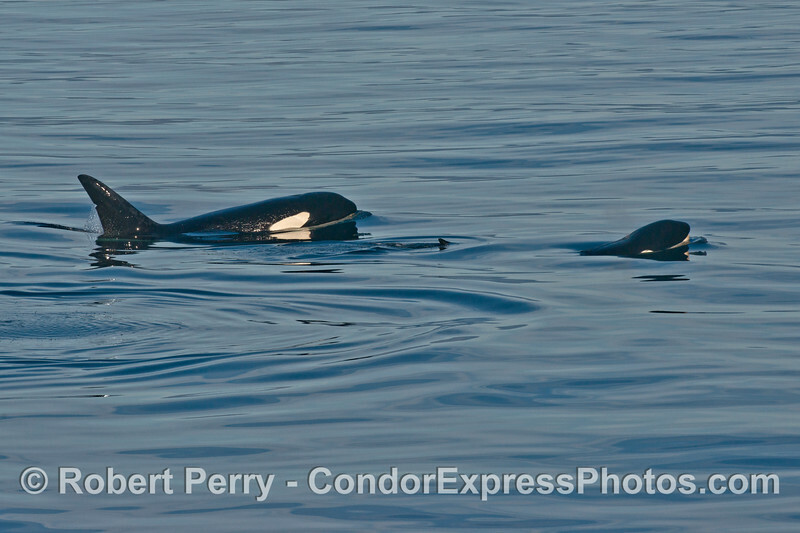 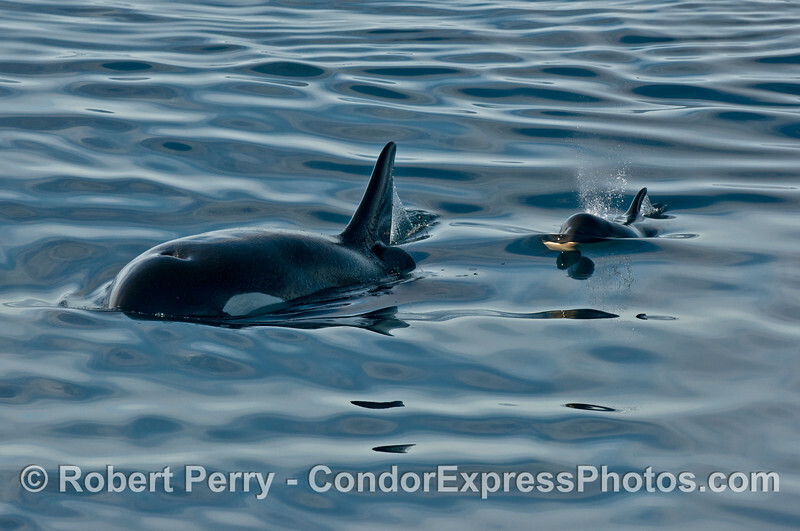 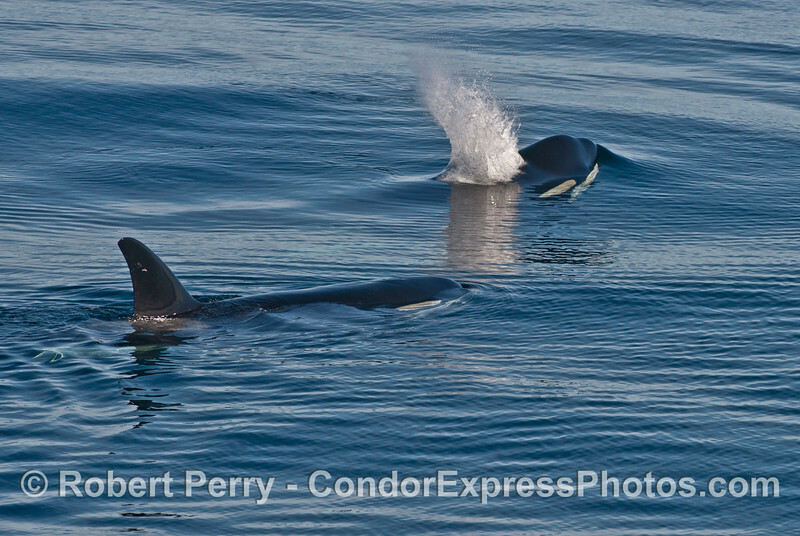 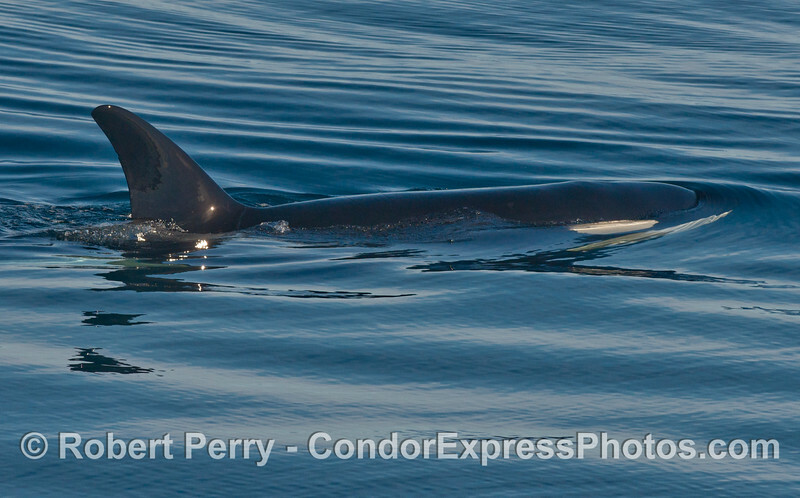 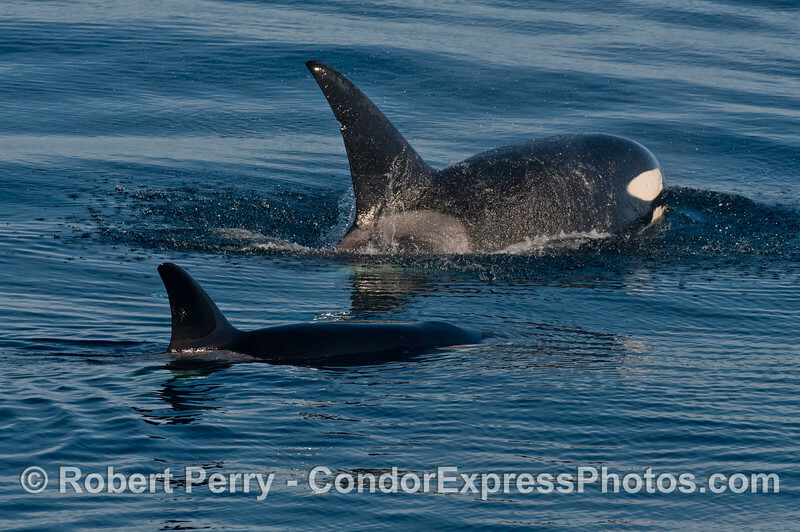 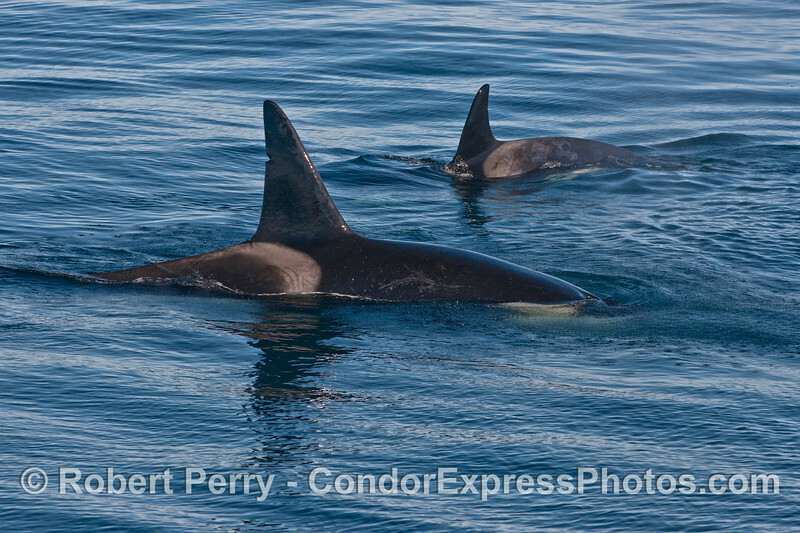 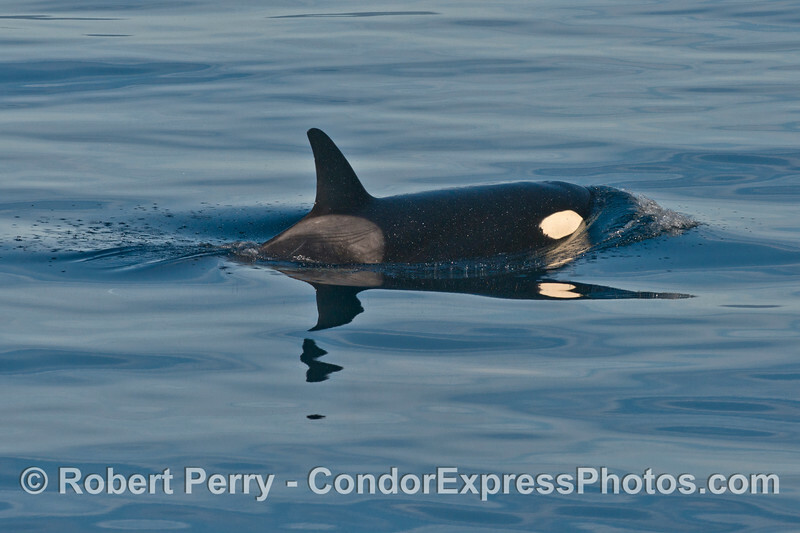 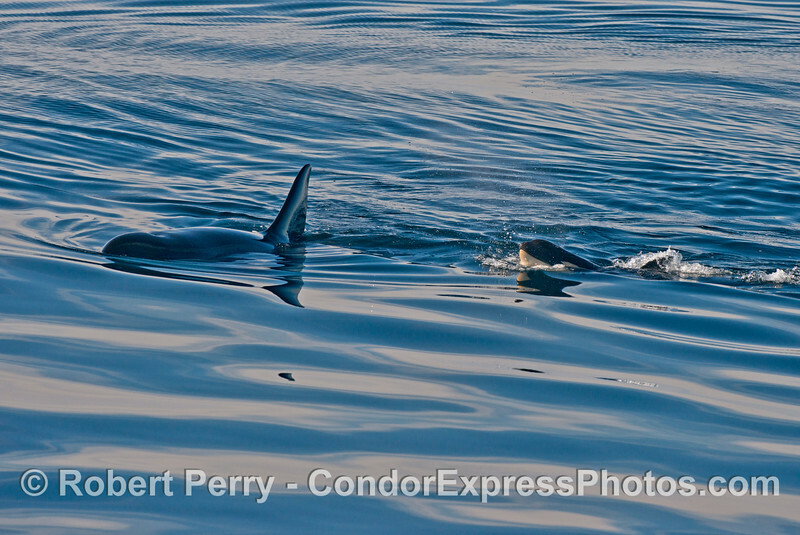 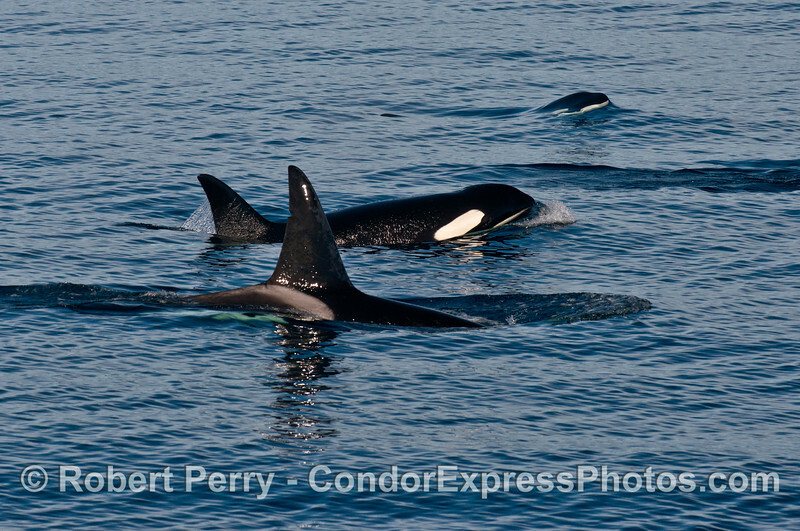 Killer whales with a very young baby calf ! 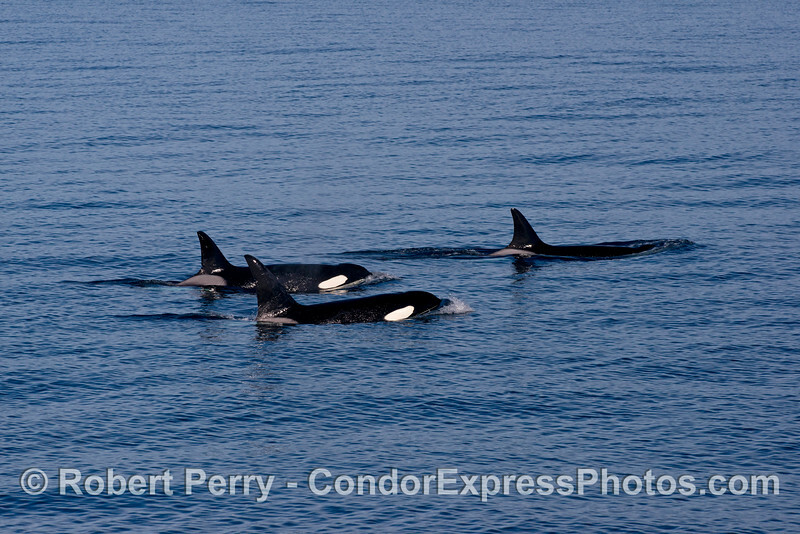 According to http://orcasoftheworld.wordpress.com Bigg’s killer whales were formerly known as ‘transients’. 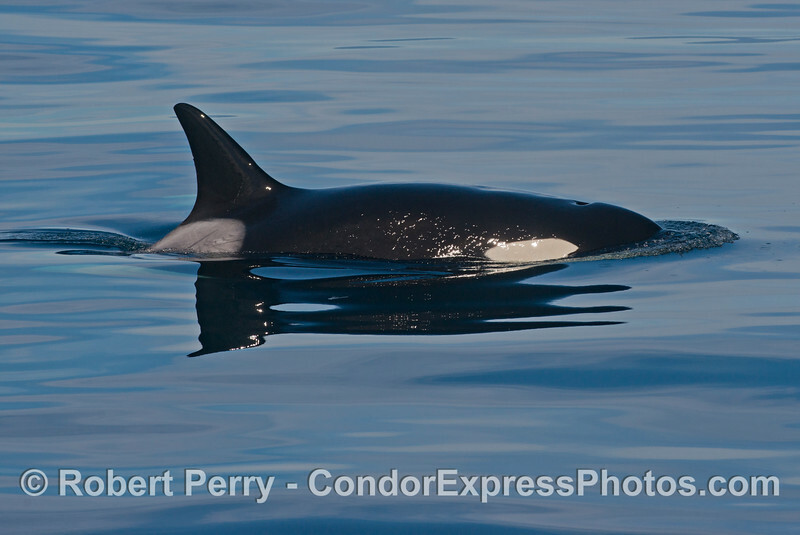 In 2012, a push was made to rename this type of killer whale in memory of Dr. Michael Bigg (1939–1990). 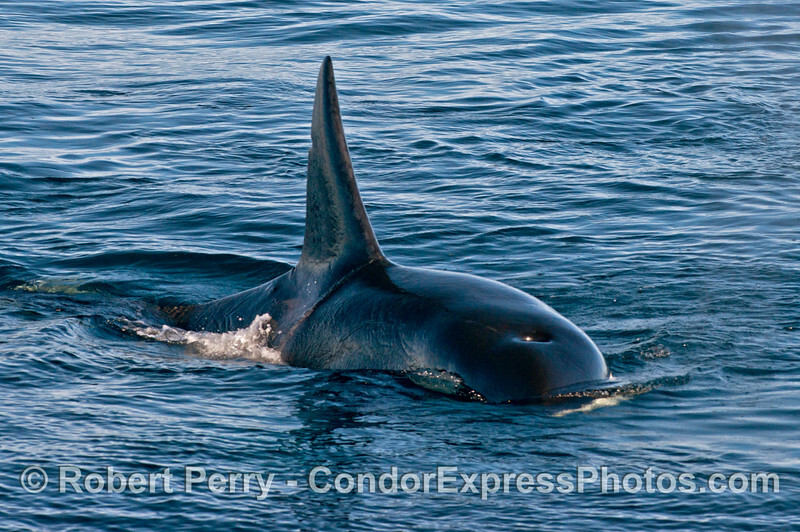 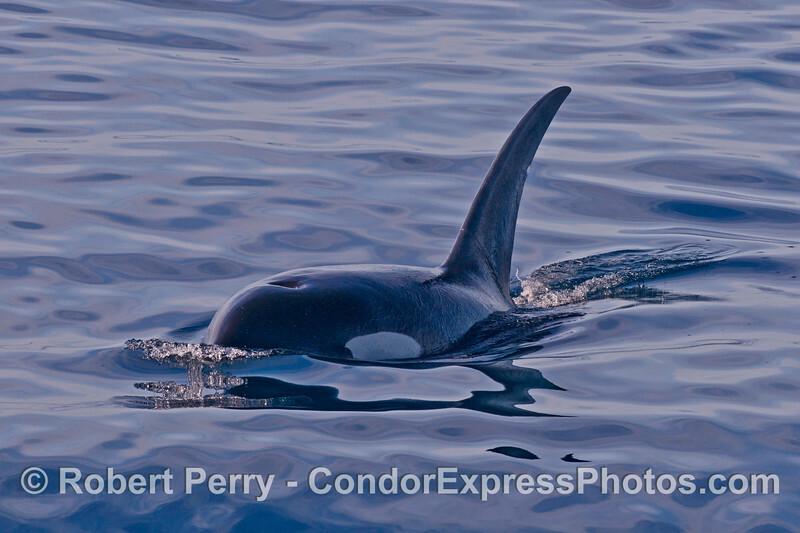 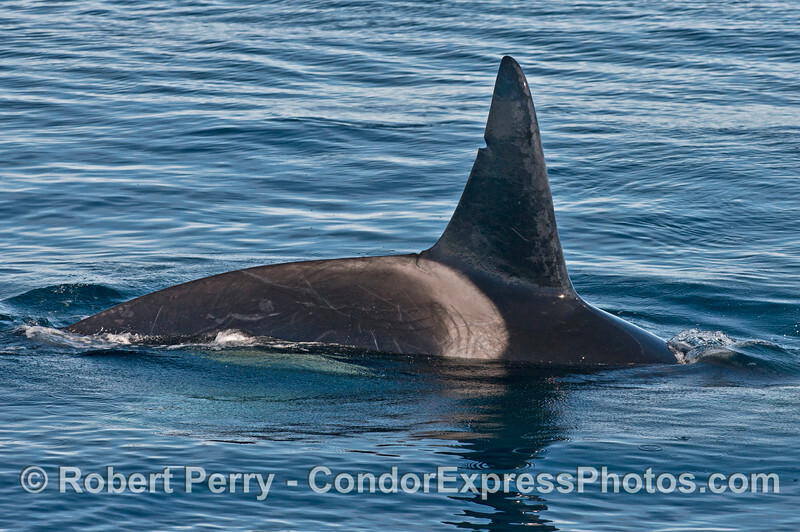 Bigg’s killer whales range all along the west coast of North America, from California to Alaska. 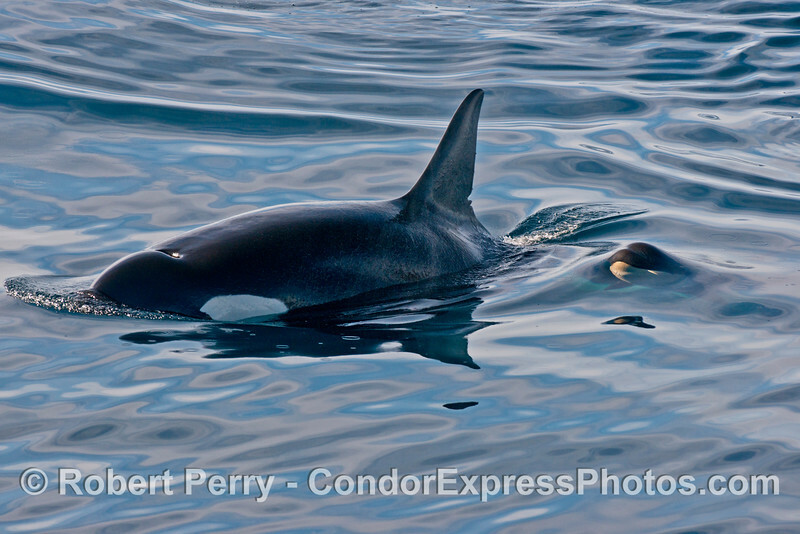 They are mammal-eaters, specializing on smaller marine mammals such as seals, sea lions, porpoises, dolphins, and occasional calves or juveniles of larger species such as gray whales and humpback whales. 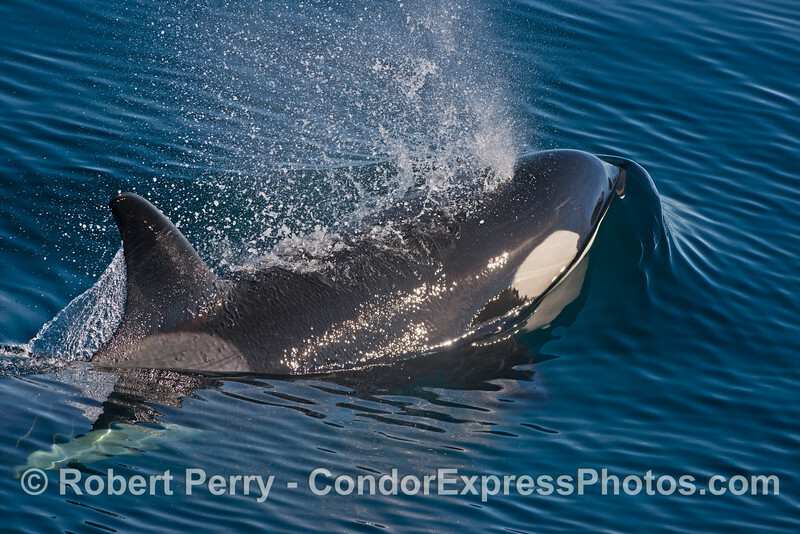 In fact, the term “killer whale” is derived from this type of killer whale, which is the only species of whale that kills other whales. 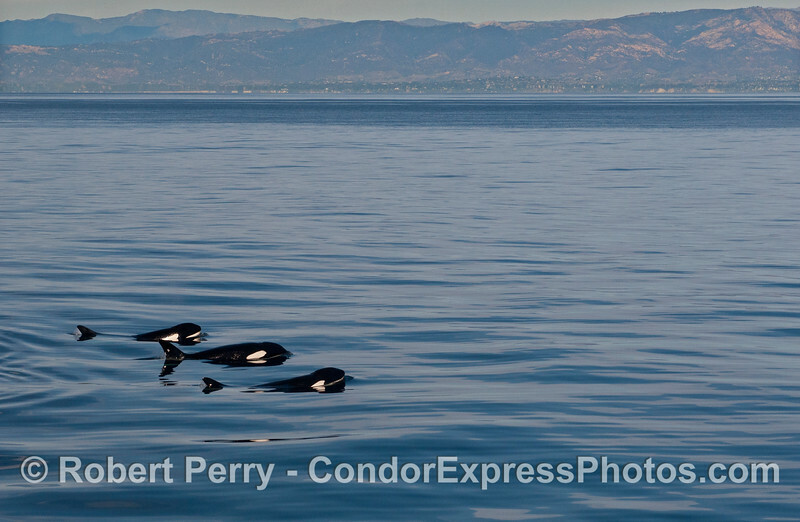 Today we started out heading southwest towards Carrington Point on Santa Rosa Island because our friend Dane had called to report 4 killer whales in the area. 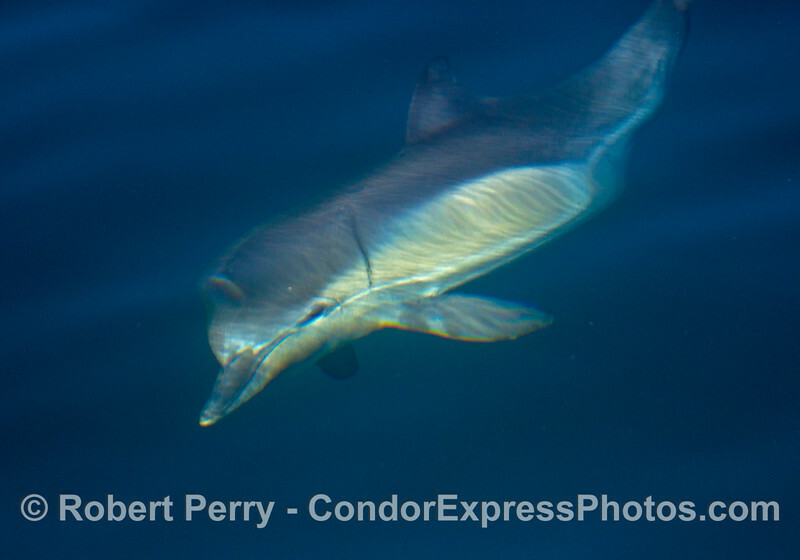 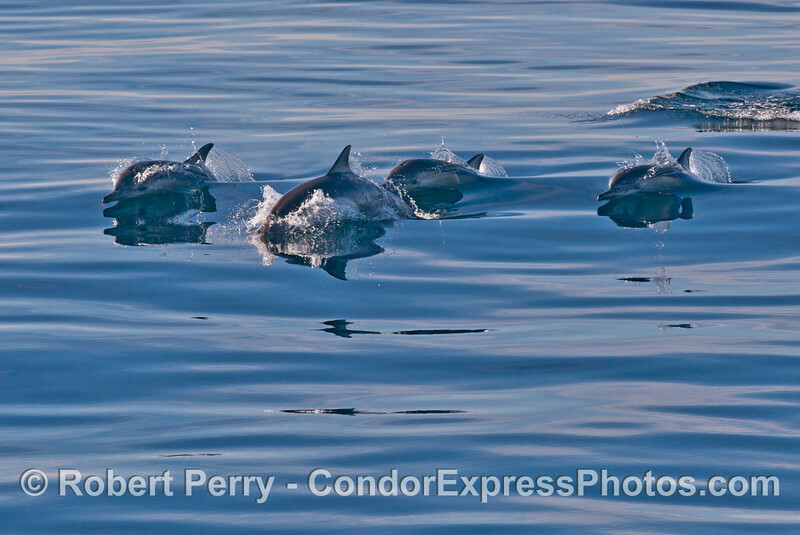 En route we played with at least 1,000 common dolphins that were all spread out feeding on the abundant anchovy schools. 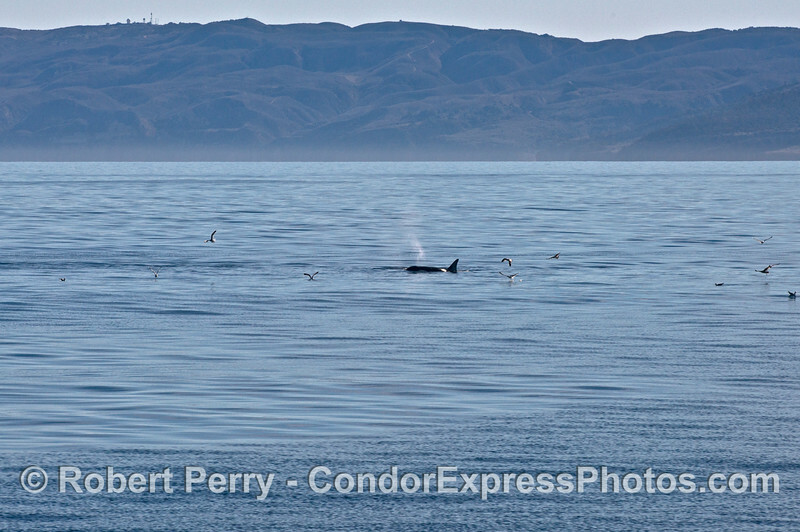 Later on and further south, we saw multiple spouts on the north face of Santa Cruz Island, and upon investigating, we discovered a separate group of 5 killer whales. 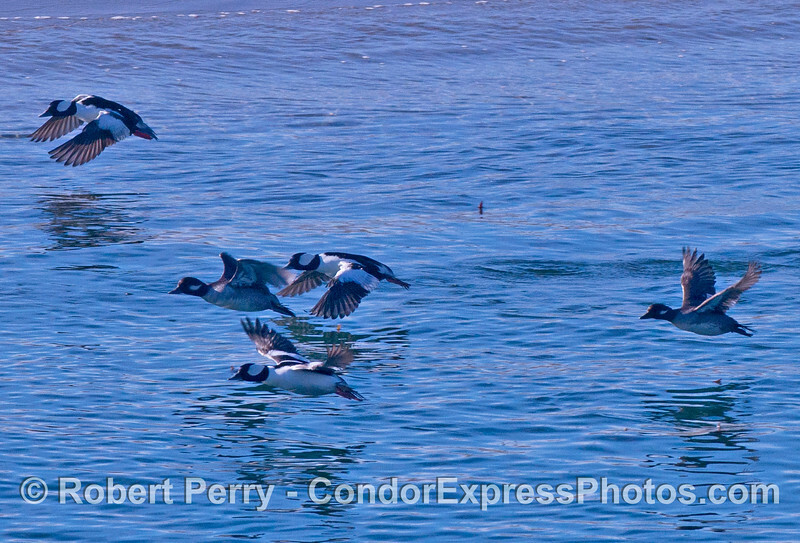 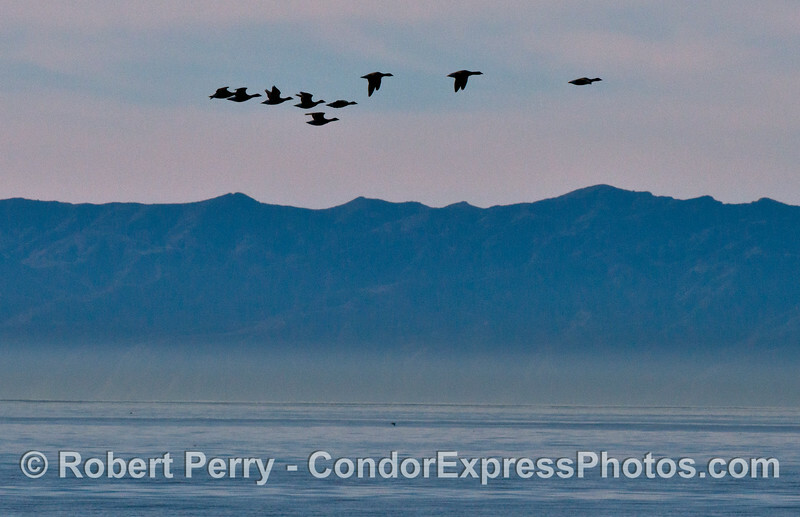 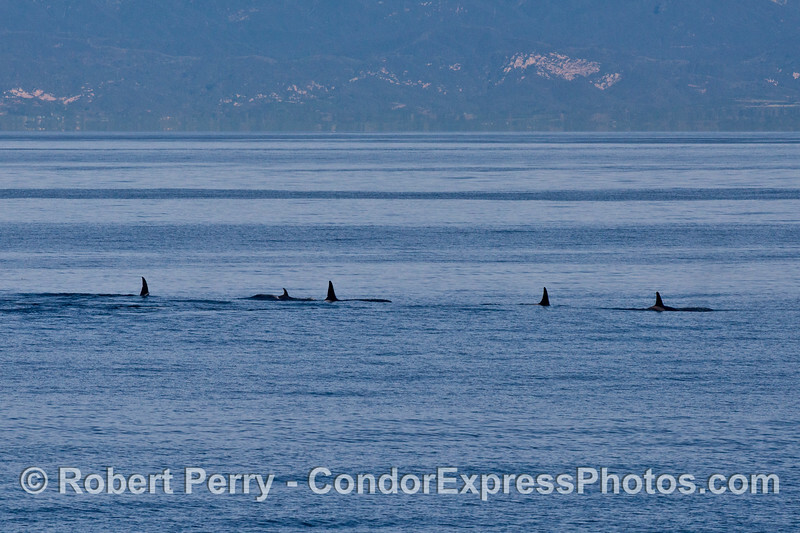 (Later our friend Mat would text us that there was another, third group along the coast, west of Santa Barbara. 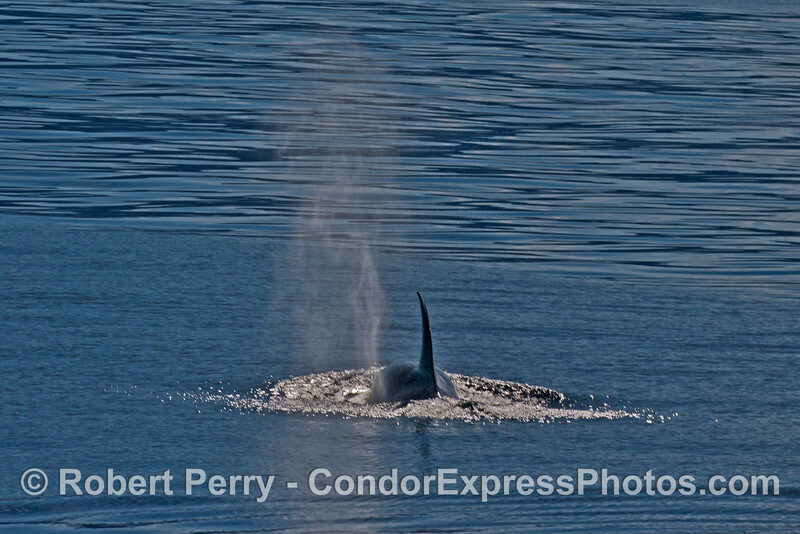 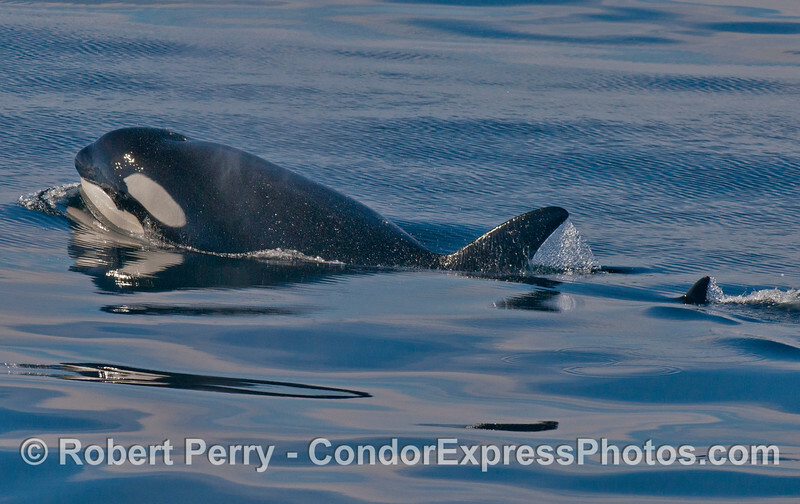 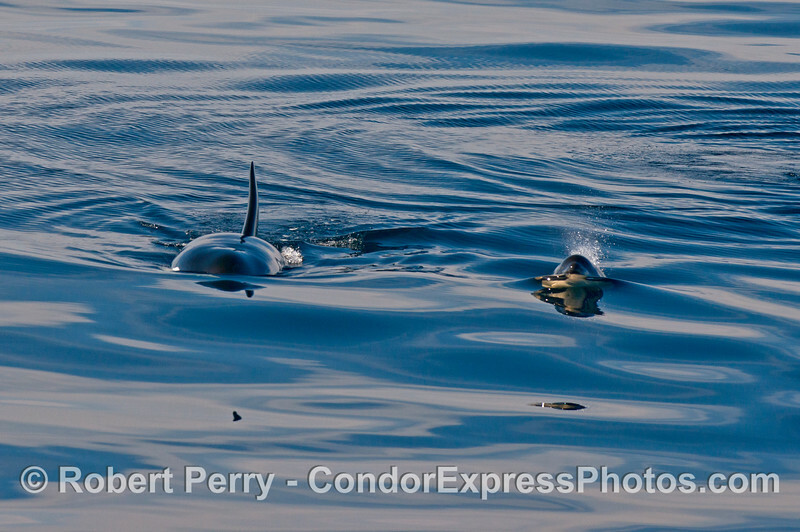 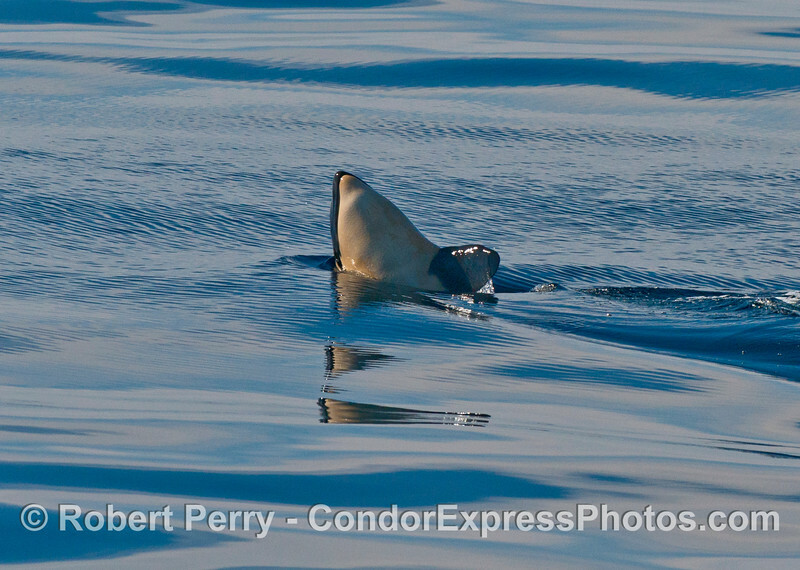 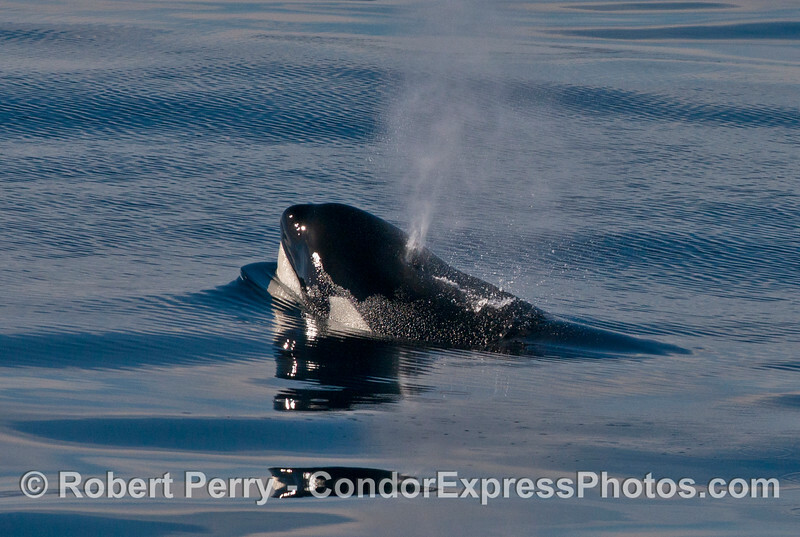 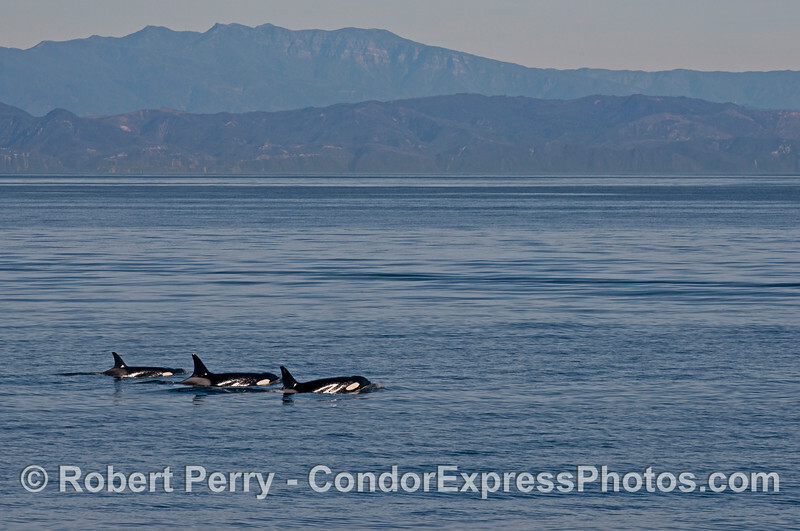 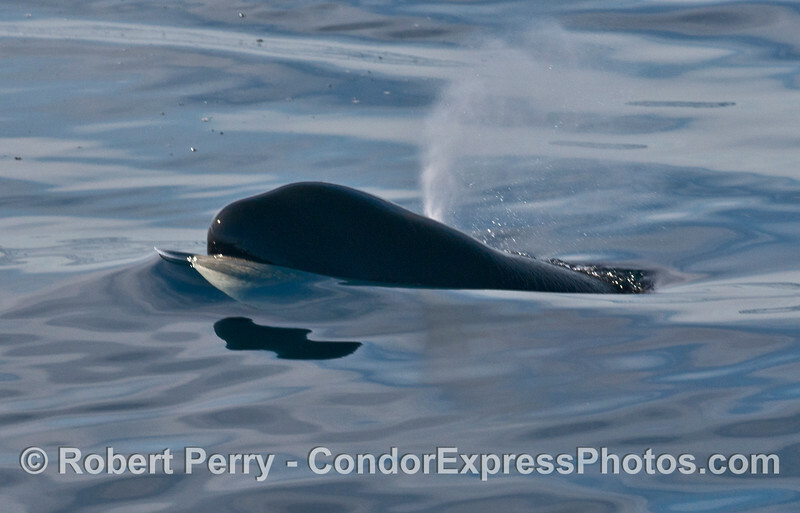 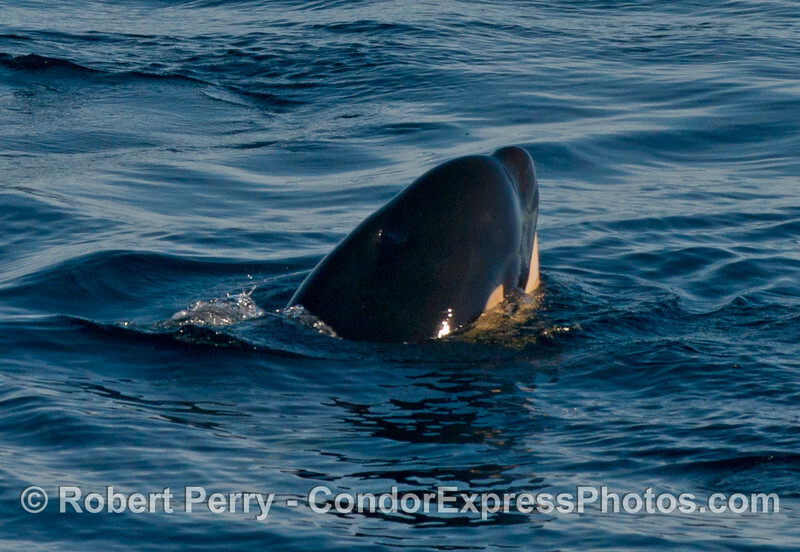 We closely watched our 5 killer whale for almost 2 hours. 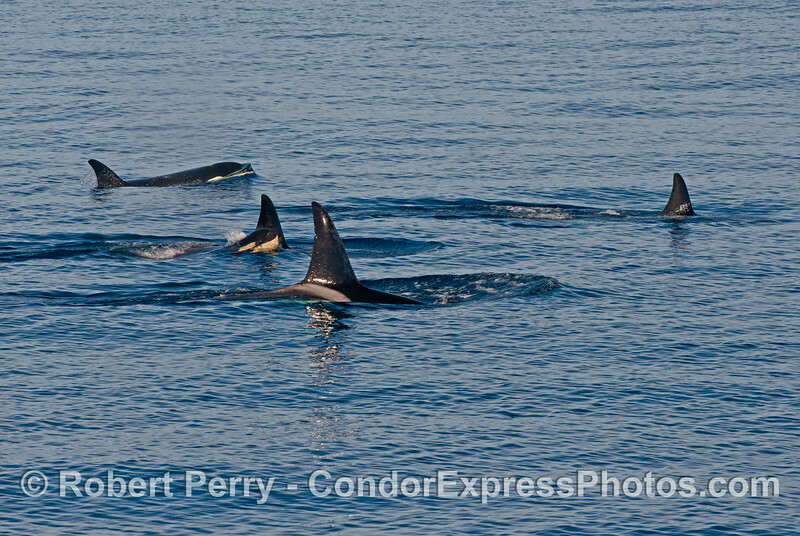 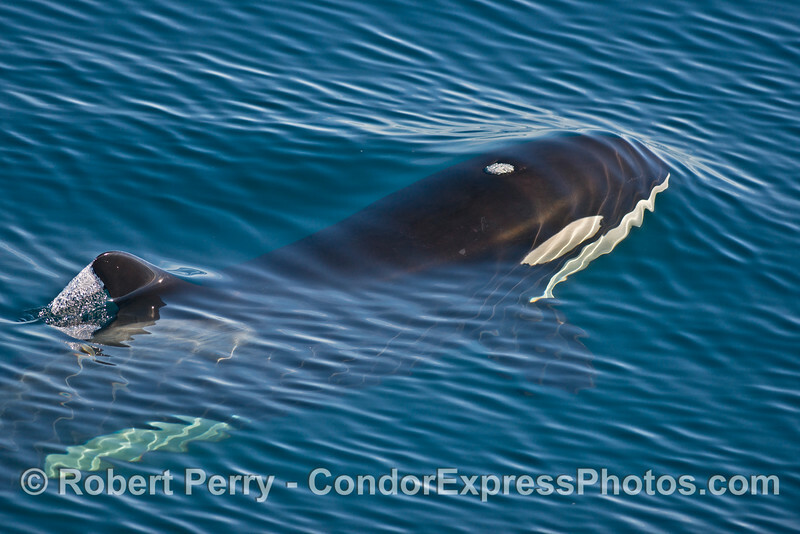 The group consisted of at least one male, a big one, and a mother with a very small calf. 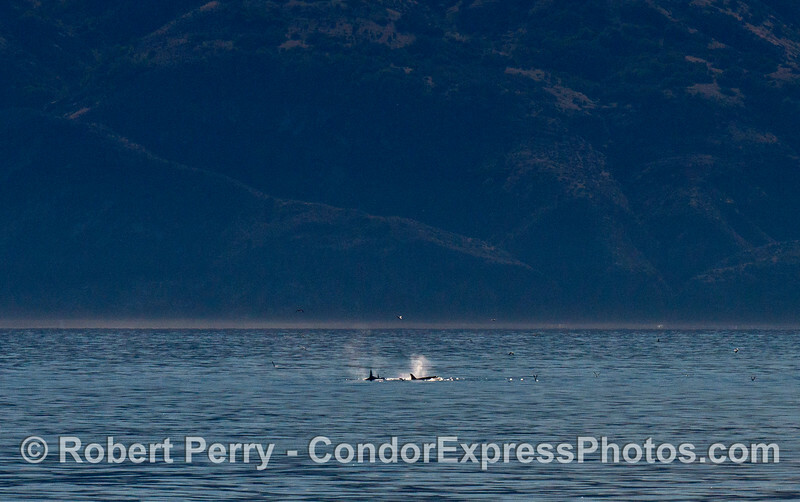 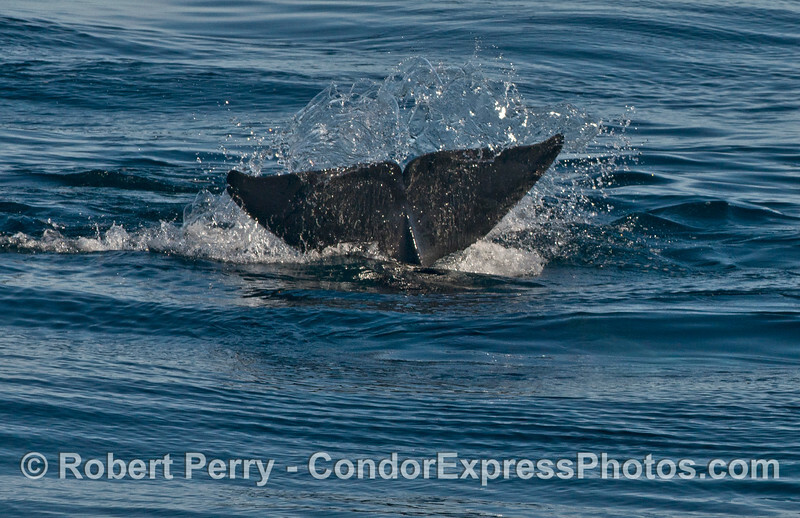 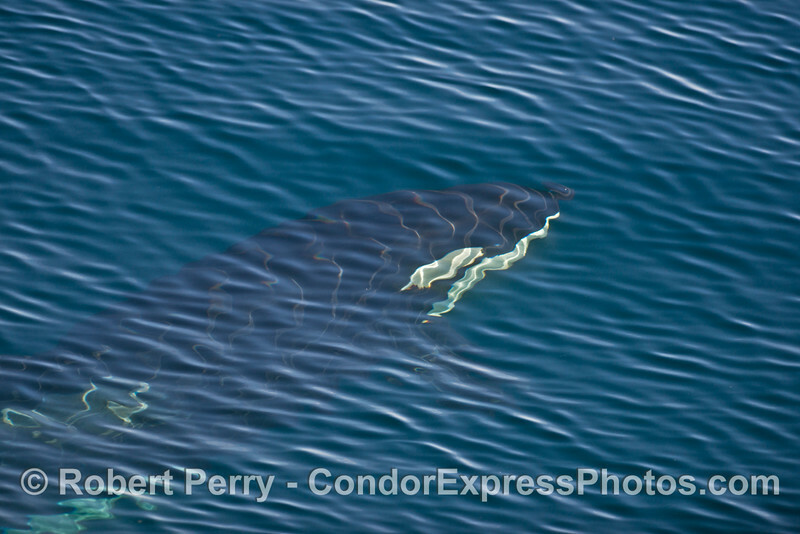 There were two other whales, probably females, although one may have been a sub-adult male. 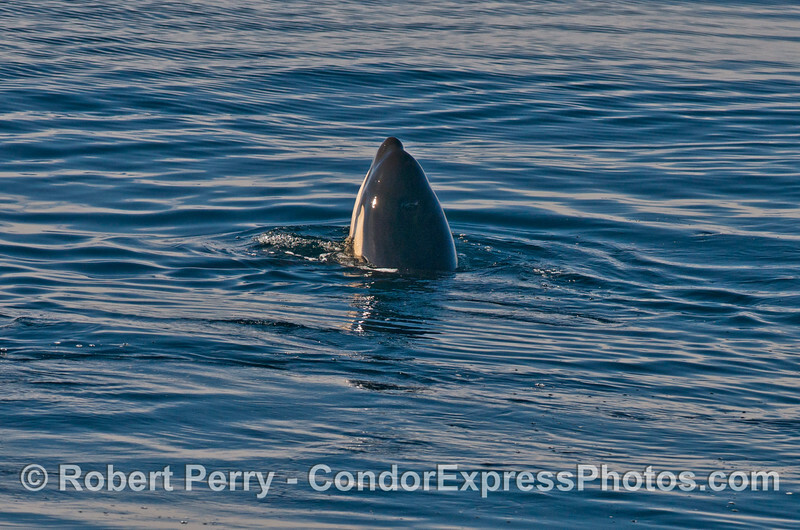 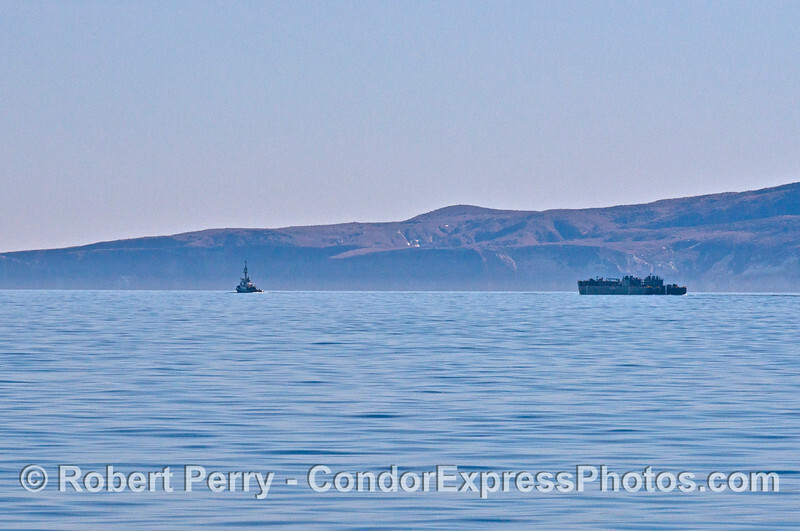 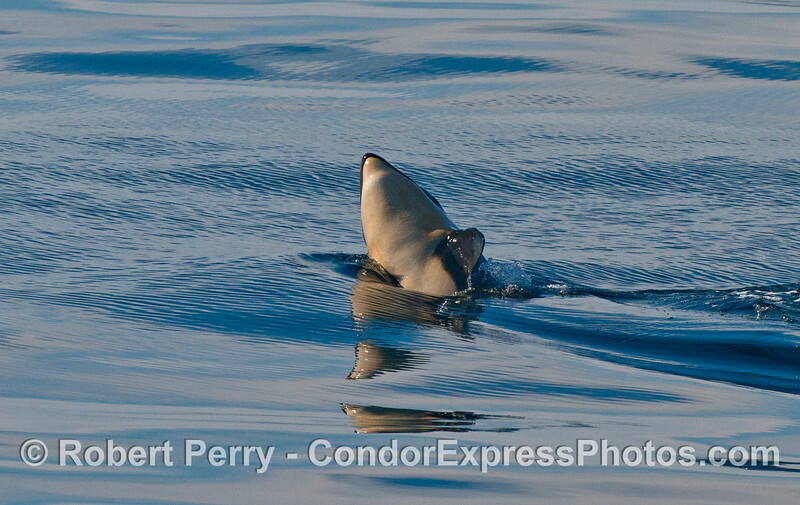 Moving on, we also saw about 30 Risso's dolphins in two groups near the Santa Cruz Channel, as well as 5 gray whales, 100 or more sea lions, and on the way home, near mid-Channel about 20 Dall's porpoise. 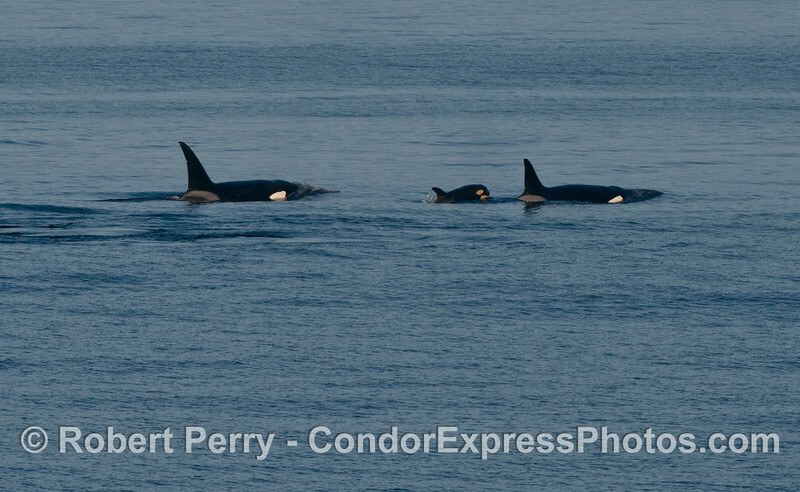 UPDATE: My friend Alisa Schulman-Janiger has identified our pod of killer whales: "your Orcas are the CA122s (Bigg's/transients)! 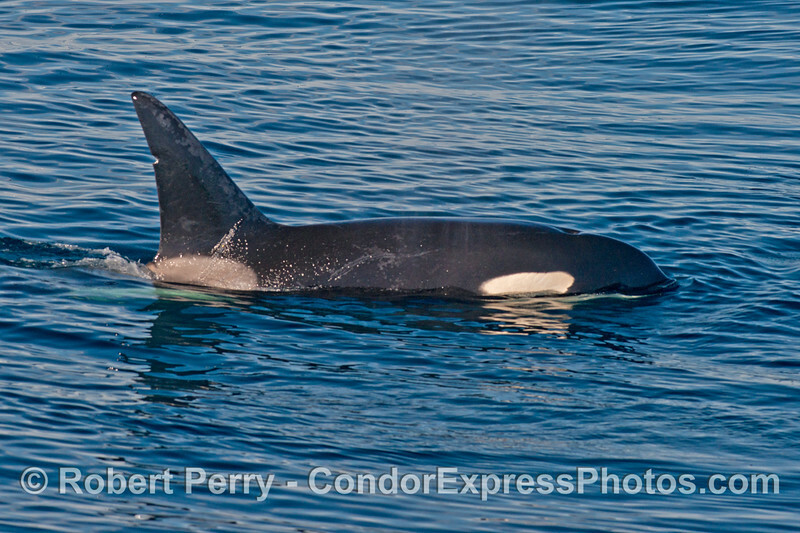 The new calf is most likely CA122A2. 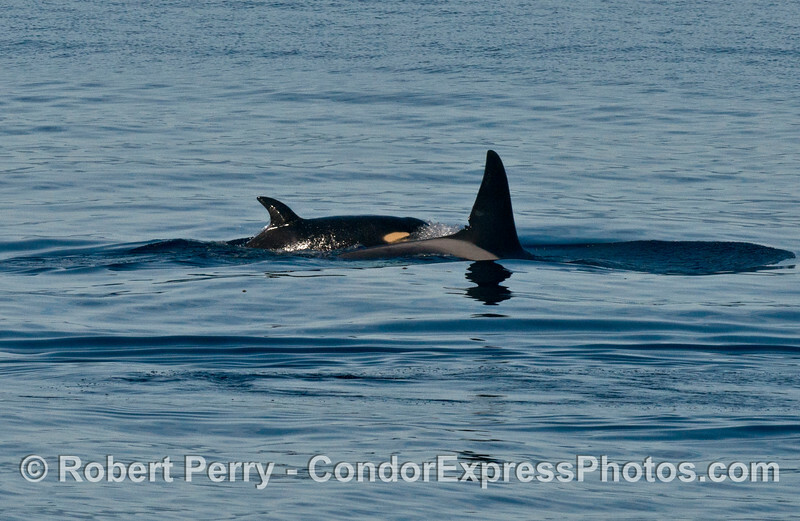 If you had just 5 orcas, it looks like they have lost one juvenile. 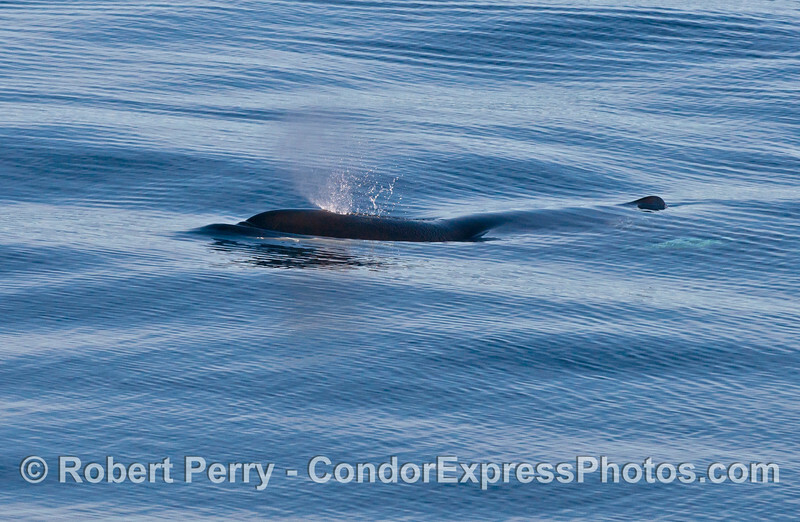 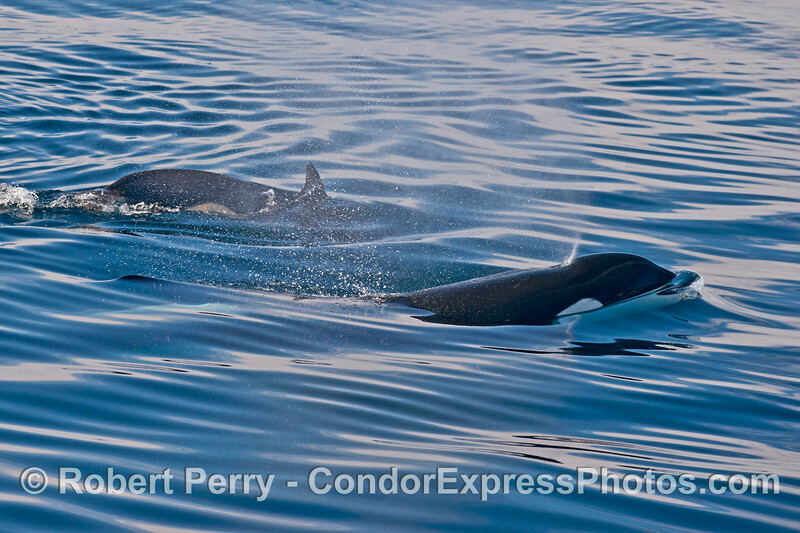 These whales are not seen very often: good sighting, with a first sighting for this young calf!" 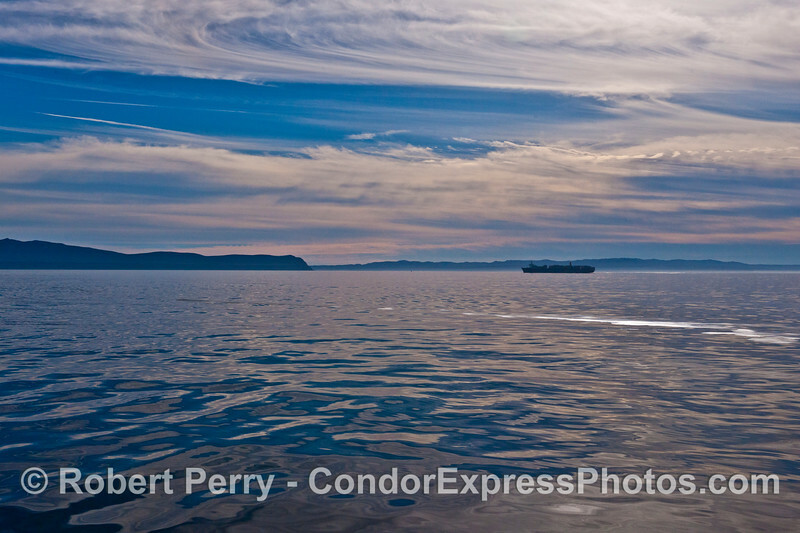 You can click on the "Map This" button to see where we went.